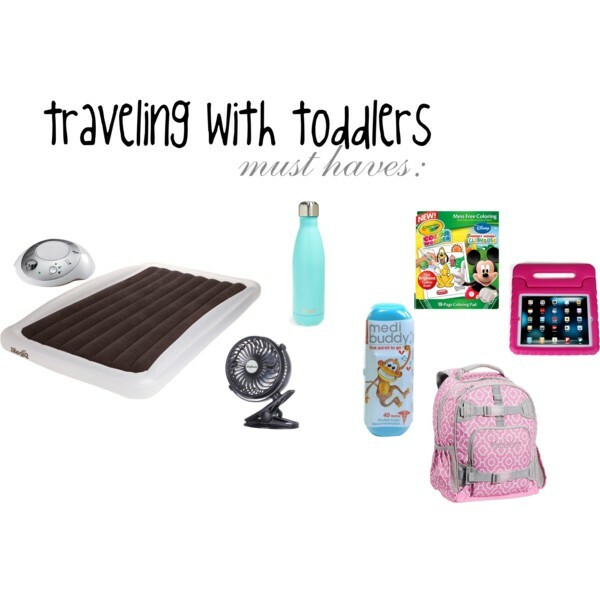 Toddler bed-this summer we traveled several times with 2 toddlers now out of pack n plays. We absolutely love our Shrunks toddler blow up mattress and have used it for years for Isabella. The built in side rails are perfect for roly poly toddlers. We grabbed this Toddler inflatable mattress for Isabella for our last trip since it is cheaper and she can sleep without side rails and she did great. iPad case-We would not survive road trips without iPads, go ahead judge us;) If iPads are wrong then I don't want to be right, ha! Our kids have these iPad cases, the handles are perfect for little hands to carry them around and are great protection. Sound machine-I highly recommend taking a fan or sound machine or even both when you travel. They are perfect to cover up other noises and help soothe kids to sleep. When we stayed at Hyatt Hill country we could hear babies crying next door so a little sound machine is necessary. Fan-this clip on fan is perfect for hot outdoor events. It clips on easily to strollers, etc. A must have for places like Sea World. Color Wonder||Markers-we are obsessed with the Color Wonder and marker products. THey are perfect because they don't color on other surfaces which is 100% necessary for toddlers. Backpack-for each road trip we let the kids fill up their back packs with whatever toys they want, we've usually snatched a few items to add to it from the Target $1 section and a few snacks. Hope everyone has had some fun travels this summer! I'm ready for another vacation already! !